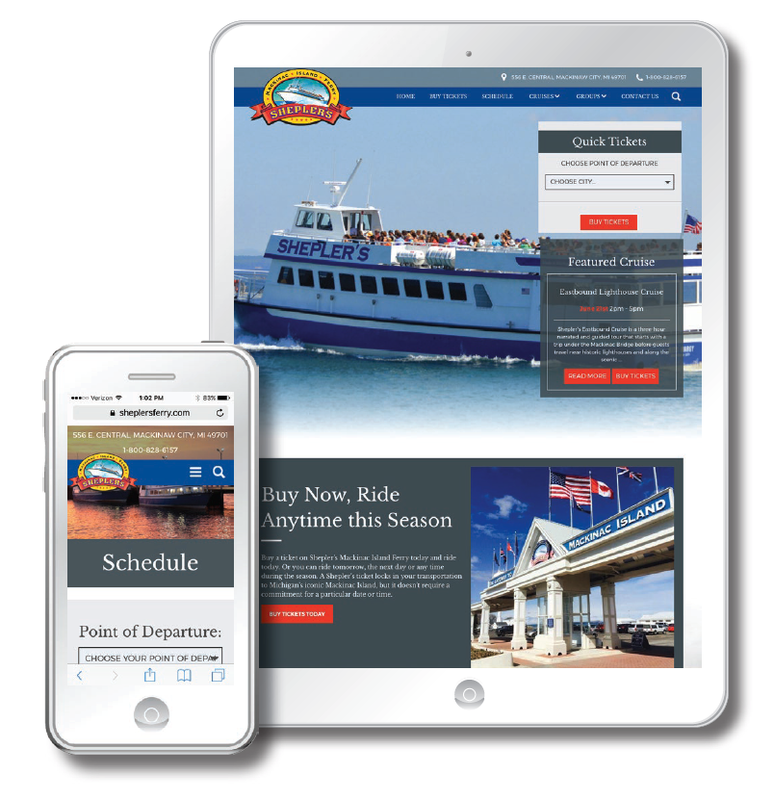 Shepler’s required a web development project that was built with function in mind providing the best possible external user experience, usable by all skill levels. For them, the site was/is not the end goal. 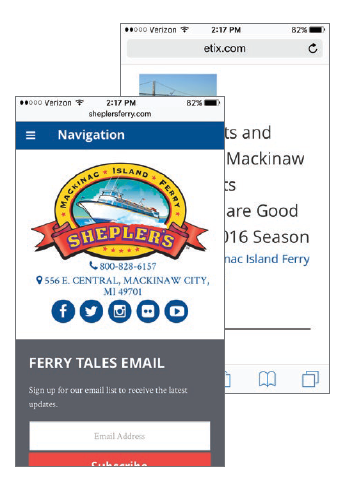 The ability to use the site to ease the overwhelming manual ticketing system of the ferry would successfully change Shepler’s business model. Ultimately, they want customers to be able to easily purchase tickets online, quickly and efficiently.